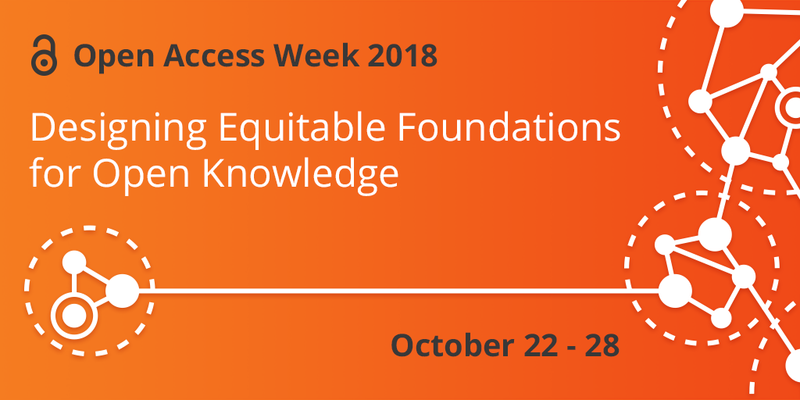 The Scholarly Publishing and Academic Resources Coalition (SPARC) announced that 2014 International Open Access Week will be celebrated under ‘Generation Open’ theme. This year open access week will be held from October 20-26 all over the world. The theme of the week is meant to highlight central role students and junior researchers play as change agents for the development of open access scientific publishing and scholarly output dissemination. International Open Access Week 2014 aims at improving the level of awareness about the potential benefits of open access. It reflects on the success achieved. The week will also be used to help “inspire wider participation” in order to make Open Access a new norm in scholarship and research. International Open Access Week which evolved from National Day of Action for Open Access, initiated by students in 2007, has grown and expanded dramatically. Now it participate more than 7 million students in more than 100 countries actively advocating for and supporting open access movements. According to SPARC it is incumbent on open access advocates around the world ‘to use the week as a catalyst for raising awareness of Open Access and to build a dialogue with the next generation about shaping the system of scholarly communication that they will inherit.’ See SPARC press release. 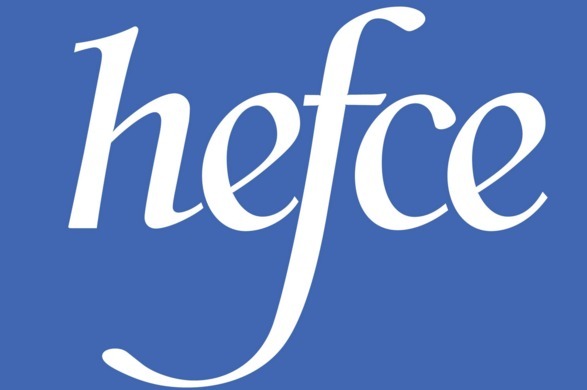 The Higher Education Funding Council for England (HEFCE) has embarked on a policy which makes significant move towards fully embracing open access as preferred means of publishing and distributing scholarly research output emanates from the UK higher learning institutions. The HEFCE calls this policy document “One Great Big Thing for British Universities” and encourages all universities in the country to gear towards warmly embracing open access. The institutions can demonstrate their compliance with the policy by publishing on open access platforms and subsequentlydepositing research papers in open access repositories. The policy states that, “to be eligible for submission to the post-2014 REF (Research Excellence Frame work, author’s final peer-reviewed manuscripts must have been deposited in an institutional or subject repository on acceptance for publication.” This policy mainly applies to research outputs accepted for publication after 1 April 2016; nonetheless it strongly recommends that institutions start implementing it now. According to this open access policy, the higher education institutions can make their research output available and accessible to the public either through green or gold routes or through the combination of both approaches. In addition, it encourages the need to deposit metadata of not yet openly accessible papers, perhaps in compliance with horizon 2020 open access policy, while they are still under embargo period. Up on the expiration of the embargo period, however, the new open access policy requires immediate access to those articles through open access platforms. Moreover, HEFCE pledges to work closely with the higher learning institutions to support repositories in order to ensure smooth implementation of the policy. The development of the internet coupled with the dramatic increase in journal subscription fees in the 90s have triggered the creation of Open Access. This movement in the scientific publishing world promotes universal access to scientific research findings free of charge, challenging the 350 years old world of print that has been largely championed by scholars and librarians. Since inception of the movement, Open Access has grabbed significant attention of many in and outside the academic world and resulted in the appearance of many OA scholarly journal publications. 1. Ever increasing costs of knowledge keep scholarly journals behind pay-walls which makes access to them very tough for those in the sphere of academia. Substantial journal subscription fees are no longer a challenge that only low budget institutions have to deal with. It has affected almost every research institution and every researcher. Even for bigger and well established academic or research institutions, it has been an issue of serious concern for many years. 2. There is an ever growing awareness among the public about research and its funding. People started considering research funded by tax payers as the public good. Based on this idea supporters of OA passionately call for all scientific research funded by the public to be made widely available and freely accessible to everyone with access to the internet. 3. Some OA supporters are fervently advocating free access to the scientific research output arguing that everybody should be able to access research output. This camp believes pay-walls which limit access to scholarly journals should not be erected. Because countries with resource constraints cannot afford to pay high subscription fees. As of today many OA journals still remain out of the mainstream channels of scientific journals publishing, being largely kept at the peripheries. Only 2.6% of OA journals are indexed in the ISI database. Nonetheless, some OA journals have recently managed to gain strong foothold in the scientific publishing ecosystem. So far the largest number of OA journals is in Medicine and Life Sciences. Journals such as BioMed Central and PLoS One, primarily focusing on medicine and biological sciences, made a head start in the world of scientific publications. They are currently competing strongly with classic scientific journal publishers that dominated the landscape for centuries. These two OA publishers have managed not only to survive in a hostile territory but have also started settling in top leagues of scientific journals publications. Open Access is growing both in the developed and the developing countries. The developed nations, not surprisingly, are ahead of the rest, having made the most journals openly accessible in terms of quantity and quality. The West is in far front in producing OA journals, with the US taking overall lead. At the same time the two emerging nations Brazil and India are producing more OA journals than Germany, France and Italy combined. This is a very significant development and it shows how fast developing nations (previously experiencing problems with subscription based journals due to financial constraints) are now embracing the OA scholarly publishing model. Still, many of these OA journals coming out of developing countries lack international recognition. This may inhibit the impact those journals could have on scientific research. This challenge, nevertheless, has not stopped OA journals from mushrooming in the developing world. The developing world, of course Africa in the center, does not want to be left behind as far as knowledge production and dissemination is concerned. All knowledge production, after all, needs appropriate research skills and tools. So far scientific research, particularly in Africa, is being hampered by the lack of access to quality research journals- which is beyond the reach of many academic institutions and research centers due to high financial burdens. Open Access to scientific journals might provide panacea, yet OA is not firmly rooted in the African scientific research publication environment. It is in its infancy in the continent which perhaps needs OA to scientific research output more than any other region in the world. An overwhelming number of journals (84%) is still subscription based. Not everything is dark, however. There are promising signs from the continent. In Africa around 9% of the journals offer immediate access to their content while 7% do provide delayed Open Access. The European Commission has been encouraging the European Union research grant recipients (under the Framework Program 7-FP7) to make their research findings available on OA platforms. They are stimulated to do this immediately following publication or after a maximum embargo period of 12 months. Because the EU believes that improved access to scientific research output not only promotes but also boosts European innovation, the EU has taken more concrete and constructive measures in terms of making Open Access publishing mandatory to all research output funded under the Horizon 2020 program for Research and Innovation. As per January 2014, all articles must be made available either through OA journals (Gold approach with embargo period or without) or through Institutional Repositories (Green approach). Furthermore, the EU hopes that member states will align their open access policies in line with its open access regulatory framework. Many countries, interestingly, are taking positive steps towards embracing OA policies. The US has set a maximum 12 months embargo period for research output (Gold approach) funded by the US government. Similarly, the UK research councils demand all government funded scientific research output to be openly accessible to the public starting from the 1st of April 2013. The future trend appears to be fast growing as many countries have started to formulate and implement national OA policies. Countries are encouraging their (research) institutions to make their research output, predominantly taxpayer funded research, available and accessible to a wider audience without restrictions (principally under Creative Commons Attribution License). Both in Canada and Scotland some prominent research councils have recommended mandatory self-archiving. Australia, India and Norway have made similar recommendations. Other countries, encouraged by OA developments and affirmative action elsewhere, have also started taking vital steps towards achieving free access to a broad scientific research output. The steady journey of countries towards embracing OA scientific publishing will inevitably encourage authors and publishers to boldly participate in OA publishing. Gained momentum will propel OA journals high in the ladder of scholarly publications in the years to come. Very recently, Prof. Dame Janet Finch firmly stated that the future belongs to open access academic publishing. OA publishers should seize the moment. Guiding principle of OA, and what is in the heart of the whole movement, is a call for free access to scientific journal articles for a wide audience. This is, of course, a novel idea and the most pressing question is how to make it practical. Production and dissemination of journals, obviously, incur costs, since repository administration and maintenance comes with a considerably high price. People might ask how it would be possible to make articles from scientific journals available free of charge in a sustainable way. There must indeed be a feasible source of finance to carry out sustainable publishing. This needs a balancing act between making journals freely accessible to readers and securing revenue stream to safeguard sustainable publication. Traditionally, access to scholarly output is mainly possible only through subscription. But the developments described above show that OA publishing is changing the status quo. Already many OA journal publishers flourish, while classic publishers are forced to adopt a hybrid publishing system. A number of scientific journals and books are now available online to read and download freely. Primary beneficiaries of fully or hybrid OA journals are academics, but non-academics and small business owners can also hugely benefit from OA research articles and journals. Open Access is a better alternative to subscription based publishing of scientific journals. Wide availability and easy access to OA scientific materials will undoubtedly bring down pay-walls that have been erected for years by classic scholarly journal publishers. Furthermore, it will eventually force classic publishers to reconsider the status quo which primarily focuses on making huge profit margin at the expense of science, innovation and knowledge dissemination. The movement of Open Access has recently gathered steam. 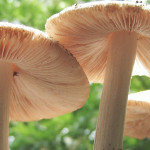 Open Access journals are mushrooming, countries are adopting OA policies, OA has been a hot topic in the scientific community and it will continue to attract attention and galvanize advocates from academic and non-academic circles until OA becomes the leading model of publication and dissemination of scholarly materials. Already millions of digital scientific articles, pre-prints materials, datasets and books are made available online free of charge- and many more are yet to come in the year 2014 and then after.